There’s no short of real estate success stories today, and the stunning tales could make anyone want to jump on the bandwagon. But to get started in real estate investment, investors need to understand what they’re up against. Buying a building is can be very different from traditional forms of investment, so learn more about the type of real estate before going any further. Like all industries, real estate has its own jargon that investors will want to learn before getting started. This list may be simplistic, but it should give you a better idea of how it all works. Residential real estate: Single-family homes, condos, duplexes, or townhomes can all fall into this category. Vacant land: Refers to raw land that has never been touched for construction purposes. Co-ops: A development or building that is under the control of a corporation. Owners of the units buy shares equivalent to the market price of the unit. Commercial: Property that will be used for business purposes, such as a storefront, apartment building, or office. All real estate investment options have pros and cons that should be considered before selecting an investment. Rentals can be for either residential or commercial business property, with the owner of the building letting others use it in exchange for a fee. Owners usually have the option to create a formal agreement on their own terms, whether they want to lease the property out for three days or 30 years. However, with the recent influx of websites such as Airbnb, the rules for short-term rentals are beginning to change. Investors will need to keep up on local laws or trends that may impact their plans. Flips can also be done for either commercial or residential real estate, even if most people associate the practice with single-family homes. Move-in ready property is very much in demand these days, which has helped flippers turn considerable profits after they fix them up. But in addition to being a lot of work, flipped homes are also more heavily taxed by the government. It’s also a competitive space, which means that newcomers may get priced out of the most popular areas. Flips and rentals both require a lot of time out of the investor, but a trust is very much the opposite in terms of effort. With a trust, investors can contribute a certain amount of money to a single entity who will then spread that investment out to different types of real estate. Investors are typically updated on the status of their investment, but they’re not expected to take part in day-to-day activities. The rewards may not be quite as dramatic, but it’s an excellent way for busy people to get striated. Raw land also doesn’t require a lot of effort on the part of the investor. The idea is to buy land that will eventually be purchased by a willing developer or business owner. As investors might imagine, this purchase will require a little patience on the part of the investor, but it can pay off. To avoid being blindsided though, investors need to learn about the topography and the zoning laws to ensure there will be no trouble in building upon the land. Real estate investment can be easier than many people think, even if they don’t have a lot of extra money or time. 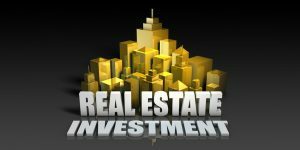 However, there is no such thing as a sure-fire real estate investment so it can help to be prepared for the road ahead.